Salmon Plumbing, Heating & Air Conditioning has been serving London, Ontario since 1955. The CO Detector should be placed inside or near primary sleeping areas. You should have a detector installed on each level of your home. CO Detectors are available from your local hardware store. They are easily installed by homeowners. Normally a CO Detector needs to be replaced every 10 years. 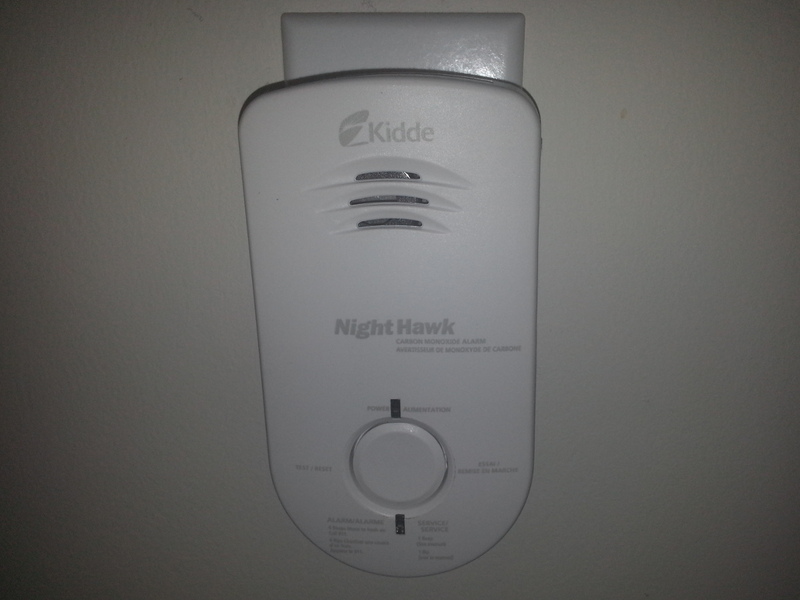 Batteries in CO Detectors should be replaced annually. Headache, nausea, burning eyes, fainting, confusion, drowsiness that will improve when you have left the house for a period of time. People with heart or respiratory conditions, the elderly and children are particularly sensitive to carbon monoxide. The air in the home feels stale or stuffy. Strong smell of gas when furnace or other fuel burning appliance turns on. Pilot light and burning flames are yellow/orange, not blue. Chalky white powder or soot around exhaust vent or chimney. For more information on Carbon Monoxide, we'd recommend visiting the Ontario Association of Fire Chiefs page. Annual furnace maintenance by a licensed contractor is important to protect your family from carbon monoxide poisoning. Improper furnace venting or a failed heat exchanger can cause elevated CO levels in a home. Salmon Plumbing & Heating technicians check CO levels when we service your furnace. If our technicians find elevated CO levels, they are trained to identify the source and will take immediate steps to protect your family.